Inspired by Pantone's colour of the year 2017 - Greenery and our general love of all things leafy, Foliage was born. Perfect for a wide range of wedding themes, whether you're planning a modern wedding, country wedding or a marquee in your mates field. 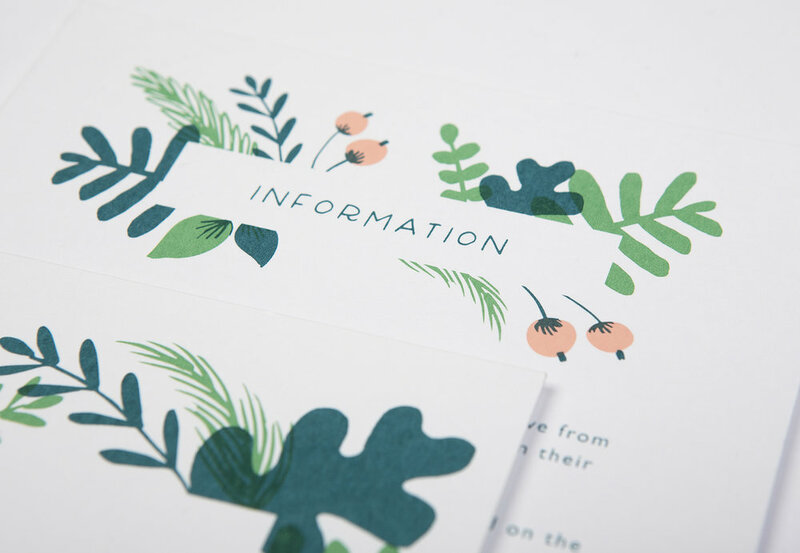 Foliage is a flexible and fun design ready and waiting for you. If you like this design but the colour pallet isn't quite right that's absolutely fine, we can change the colours to match your scheme. Matching 'On The Day' Stationery is available, please get in touch for details.